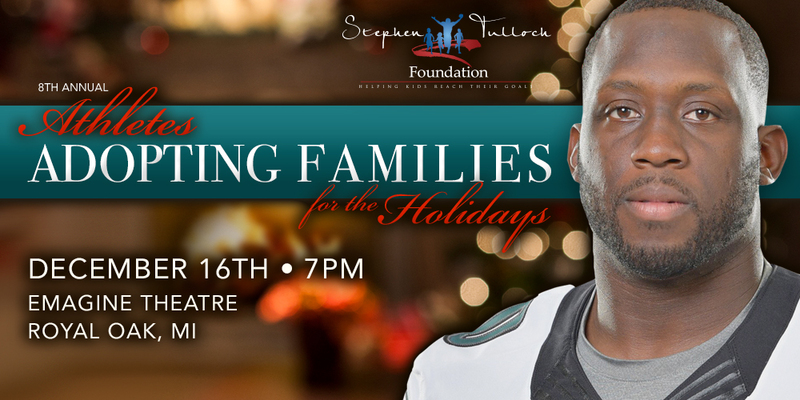 Please join us for Stephen Tulloch’s Annual Athletes Adopting Families Event 7pm on December 16, 2016 at Emagine Theatre in Royal Oak, Michigan. Tickets $150 and are available online below. For more information email Sherrie@Tulloch55.com.